Tim Winton, (so he could read his stuff aloud and make us gasp), Boori Pryor, (because he’s as funny as Billy Connolly and I love him), Maurice Gee, (so we could talk about growing up next to a creek in New Zealand), Maurice Shadbolt, (because he’s got the same name and I could just say ‘Maurice’ a lot and he knows about creeks too), and Marcus Zuzak, (because I want the inside scoop on his next book and I think he’d get on really well with Tim). Intuitive, instinctive, inside, in-credibly messy! She could take me there. A guitar slide and tuner, a blue and white striped mug, a Kiwi fern out one window and an Aussie bottle brush out the other. Moody clung to the side of the cliff, the wind tearing at his clothes and gold dust escaping in a steady stream from the bag clenched between his teeth, and for once in his life he was happy. I would ask Tim Winton to teach me how to write properly! I’d have to give up writing because I could never give up reading. 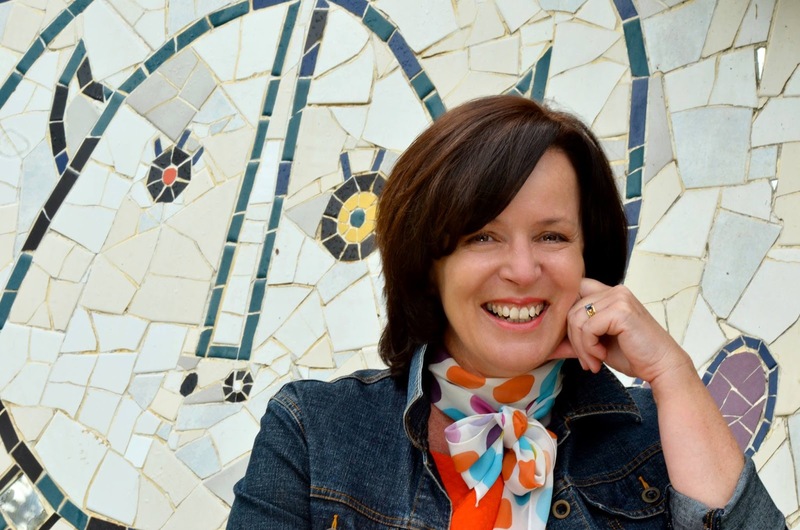 Raewyn Caisley is an Australian children's author who was born in New Zealand and now lives in Fremantle, Western Australia. Her books include Hello from Nowhere and Auntie Ellie's Beach House. 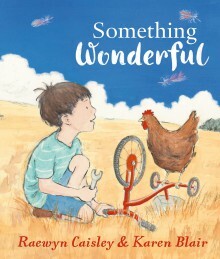 Her latest picture book is Something Wonderful, illustrated by Karen Blair and published by Penguin. Visit Raewyn's website and Facebook page for more information about her books and author events.